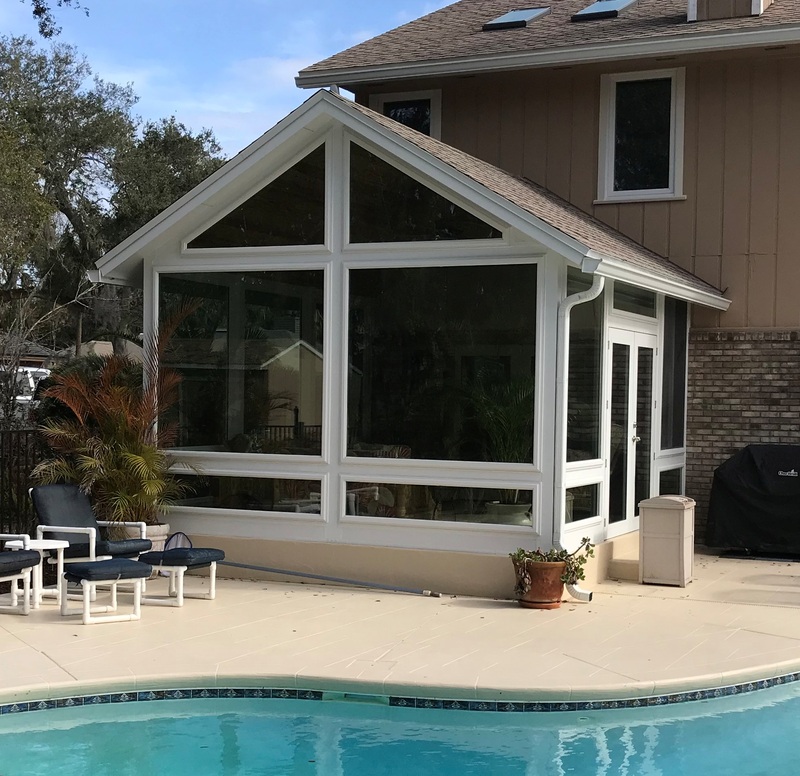 Add a pleasant room to your home that protects your guests from the elements while maximizing your ability to enjoy Florida's glorious sunshine! 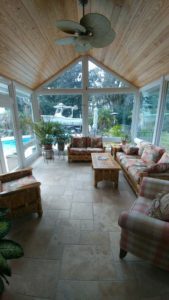 When it comes to Sunroom ideas and Sunroom designs, KMS Systems is ready to help you achieve the Sunroom of your dreams! Our in-home design consultants will help design a custom Sunroom you and your family will enjoy for years to come. Every Sunroom from KMS Systems is custom built using American made materials. Our Sunrooms feature Simonton 5500 Reflection Series windows, are "Energy Star" rated and come with a Life Time Warranty. 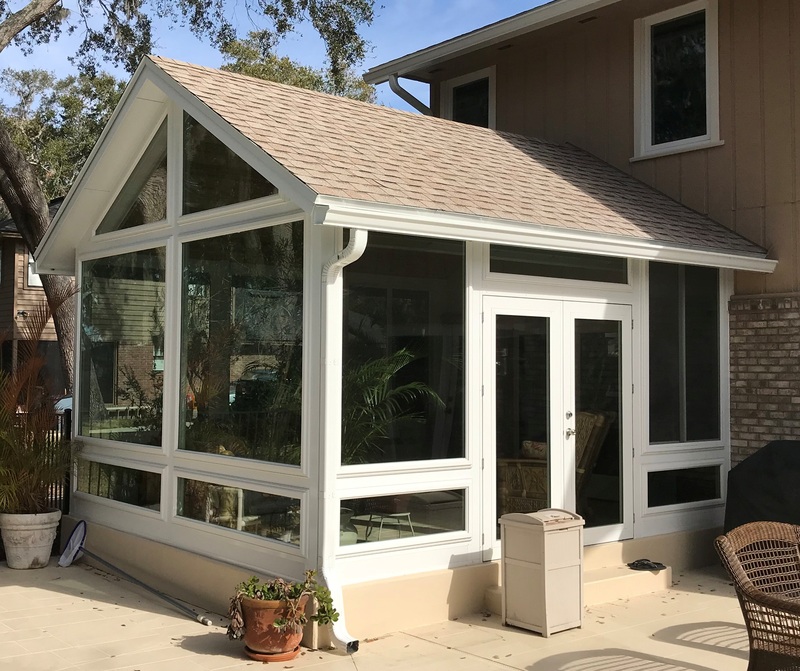 Our custom sunrooms feature an elegant full view glass entry door with "Energy Star" glass, are double bored and come with a locking handle and dead-bolt for added security. Or, choose from sliding or french doors. Every Sunroom is engineered and permitted to meet local and Florida building codes.